The Castro regime is attempting to smear the name of a good man, a medical doctor beloved by his patients and a father and husband, because he speaks truth to power and nonviolently requests and demands an end to totalitarian rule in Cuba. Two days after Fidel Castro's death was announced Eduardo Cardet described events as follows: “There are few people in the streets, and lots of police presence. Lots of controls and restrictions. Castro was a man hated and rejected by the Cuban people.” Below, provided by the Christian Liberation Movement (MCL), are updates on what has been going on and Eduardo Cardet's biography. "The consequences of the beating are still visible" ... "Eduardo was severely beaten in prison, while he was in handcuffs." ... "Despite being charged with a common crime is is state security that is in charge of the case." ... "Security has told me that it is in my hands if he is to be released, if I collaborate with them" and that " they will not permit by any means that Eduardo continue his opposition activity." ... "They have threatened to morally destroy me and my family." Information update 12/9/16 11:30 Cuba time. Last night they permitted a call to Eduardo Cardet. Very worried he warned his wife to be careful with the police because they want to create conflict. On the other hand, state security is threatening neighbors who saw the violent detention and many are shut-in their homes because of fear. Information update 12/8/16 20:00 Cuba time Yaimaris Vecino reports that they have obtained the services of a lawyer for the defense of Eduardo Cardet and that on December 9th she will go to the Holguin provisional prison for the first visit. Information Update: 12/8/16 9:00 Cuba time Yaimaris Vecino tells that yesterday she was able to see her husband briefly before he was transferred to the provincial prison of Holguin. The aftermath of the beating is still evident, especially on his face and his swollen and bruised eyes. He was again taken to the hospital for medical care. 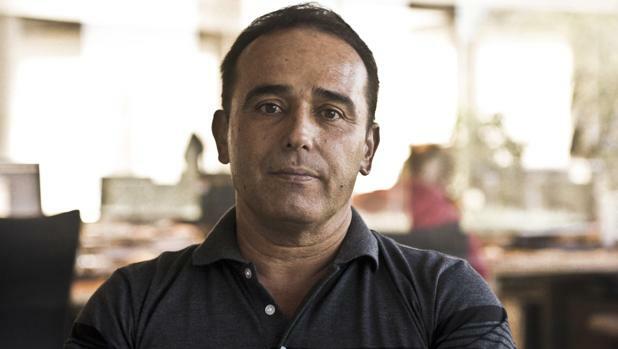 .Eduardo Cardet remains firm in his convictions and on the unjust nature of is his detention. The case instructor reports that he will ask between 1 and 3 years for the crime of attacking the authority, alleging that it was Eduardo who assaulted the police with the bicycle when he was about to be detained. The family has reached out to several different lawyers in Holguín but until now no lawyer wants to take over his defense, due to the connotations of the case. Yaimaris insists that this is a cause fabricated by state security that she had been warned when they detained her 15 days ago, i.e. the regime's intention to arrest Eduardo to neutralize his work as National Coordinator of the Christian Liberation Movement (MCL) especially for the initiative "One Cuban, one vote". On the other hand, many neighbors of Velasco, patients of Dr. Cardet, members of various opposition organizations, and Christian Churches of the area have expressed their solidarity with him. Information Update 12/7/16 10:00 Cuban time Police reported to the family today that Eduardo Cardet will be transferred to the provisional prison of Holguin waiting for trial with the charges, among others of: assault, public scandal, resistance, etc. The MCL denounces that this is a fabricated case against him that for some time had been prepared against him by state security. They have not allowed the family to see Eduardo so it is unknown what his physical condition is after the brutal beating he received during and after the arrest. Information Update 12/5/16 at 5:40 am Cuban time According to Eduardo Cardet Concepcion’s wife, Eduardo's mother and other relatives and members of MCL showed up at the 1st police unit in Holguín, demanded to be able to see him and they showed him from a distance of about 100 meters . One officer acknowledged that he had arrived beaten up, with a heavy bruise in one eye. Update 12/4/2016 2pm Cuba time: Yaimaris Vecino, wife of Eduardo Cardet Concepcion. C. N. #MCLiberacion "I have no proof that Eduardo is alive." Yordan Mariño MCL Holguín: "witnesses who saw how they moved Eduardo from one vehicle to another said that because of the beating he could not stand." Update 12/03/2016 6pm Cuban time: After 72 hours of Eduardo Cardet’s arrest his whereabouts to continue to be unknown. The police told his wife who today came to ask, that until Monday they will not inform her of his whereabouts and that they can keep him incommunicado for up to 7 days. They want to accuse him of resistance, assault and injuries. According to some neighbors, once arrested the police continued to beat him. Report from Holguín Yordan Mariño, Provincial Coordinator of the Christian Liberation Movement (MCL). Eduardo Cardet's sister showed up at the police unit where he was supposed to be detained, but no officer could confirm that he was there. The MCL denounces that nothing is known about his whereabouts, nor has his family been allowed to visit him. Update 12/1/2106 6pm Cuba time: Eduardo Cardet's arrest will be extended to be brought to court for contempt, public scandal, resistance to authority and injuries. Cardet had to be taken care of by doctors in the police unit where he was detained due to several blows that he received mainly a great blow in the head and another in the back. Information update 11/30/16 Several police officers stop and beat Eduardo Cardet Concepcion National Coordinator of the Christian Liberation Movement. The beating was terrible. He is being held in the dungeons of Holguin. State Security says he "met with those who he should not have during his trip to the United States last week." He is accused of contempt and disrespect to the comandante for the statements he made. Threatened with 15 years’ imprisonment. His wife was detained for a few hours on Wednesday last week and threatened that as soon as Cardet arrived they would detain him. 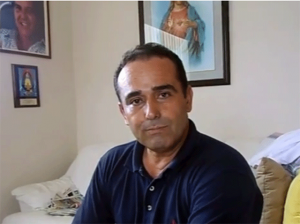 Eduardo Cardet Concepción (Holguin, Cuba, October 25, 1968) is a Cuban physician, politician, and national coordinator of the Christian Liberation Movement (MCL). He joined the MCL, one of the most important opposition groups to the Communist regime of Cuba then headed by Oswaldo Payá Sardiñas, in the early 2000s. After the death of Payá on July 22, 2012, the Christian Liberation Movement restructured its leadership. Cardet was appointed national coordinator in November of 2014. Prior to his appointment as MCL National Coordinator of Christian-Democratic ideology, Cardet had held various responsibilities within the organization. As a member of the movement's coordinating council, he was appointed Vice-President of the Christian Democratic Organization of America (ODCA) on August 23, 2013. He had previously been active in various initiatives of the MCL aimed at achieving a nonviolent transition in Cuba to democracy. He had been a manager of the Varela Project, the Heredia Project, The Peoples Path and One Cuban, one vote. Cardet, married and with two children, works as a family doctor at the Health Center in the town of Velasco (Holguín province), where he lives. One year before his appointment as leader of the MCL he was expelled from his work in retaliation for his opposition activity as a member of the MCL. However, protests over this measure of punishment and popular pressure allowed him to be readmitted to his job. Due to his opposition activity Eduardo Cardet has been detained on several occasions. The last time he was taken prisoner by the Cuban Police was last November 30, 2016, shortly after the death of Fidel Castro. The MCL has denounced that on that occasion he also suffered a heavy beating carried out by government agents. The blows, according to the opposition reports, continued in the detention center. Days after his arrest, Cardet’s whereabouts are unknown without news of his state of health.